The UN on Tuesday called for national strategies for the promotion and safe use of Artificial Intelligence (AI). The UN, in its latest report, “The State of Broadband: Broadband Catalysing Sustainable Development, the Broadband Commission for Sustainable Development” said that a growing number of governments now benchmark the status of broadband in their national broadband plans. The UN also said at least 15 countries now have strategies in place for promoting the safe use of AI. The report highlights the critical role that broadband connectivity plays for the world’s people, from accessing online health services to receiving social security payments via mobile phones to receiving life-saving disaster warnings. To boost broadband, the commission recommends building national leadership for broadband; promoting Internet training and stimulating consumer and business demand. 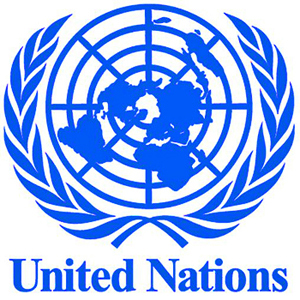 It also recommends monitoring developments of communication and information technologies (ICT) to inform policy; reviewing universal service measures; strengthening digital skills and literacy; supporting local e-Businesses and entrepreneurs; adapting legal frameworks; and reducing taxes and duties on telecom products and services. The commission, however, also raises concerns for the growing inequalities in access to broadband and how connectivity is used within and between countries, sexes and regions. According to the report, though almost half of the world’s people uses the Internet, most of them are in urban and densely populated areas and the challenge remains to connect those living in rural and remote areas. In 2017, ITU said the scale of infrastructure that must be built or upgraded to bridge the digital divide and deploy emerging technologies is considerable, meaning that about 450 billion dollars would be needed to connect the next 1.5 billion people. The commission thus calls for responsible use of data as the key to achieving sustainable development, which presents both genuine opportunities and daunting challenges. N4.7bn fraud: EFCC closes case against Ladoja, Akanbi.